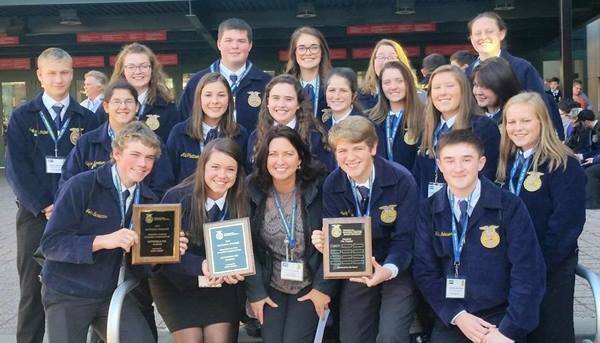 Out of 8,569 schools, Pittsfield FFA was named the 2017 National Premier Chapter: Building Communities at the 90th National FFA Convention in Indianapolis. Pittsfield FFA gave back to the community by gathering names of each active-duty military member and making signs to hang around the square and to streets around town. The project was named "Heroes Among Us". The award was presented onstage during the general assembly.